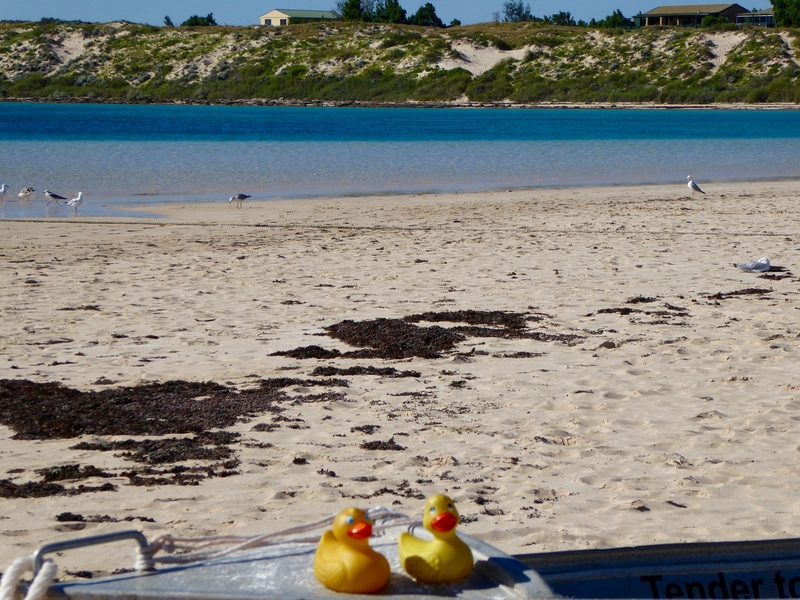 Zeb and Eider left Carnarvon and drove north toward the Ningaloo Coast. We love car trips. We can see so much of the land and watch the terrain change. 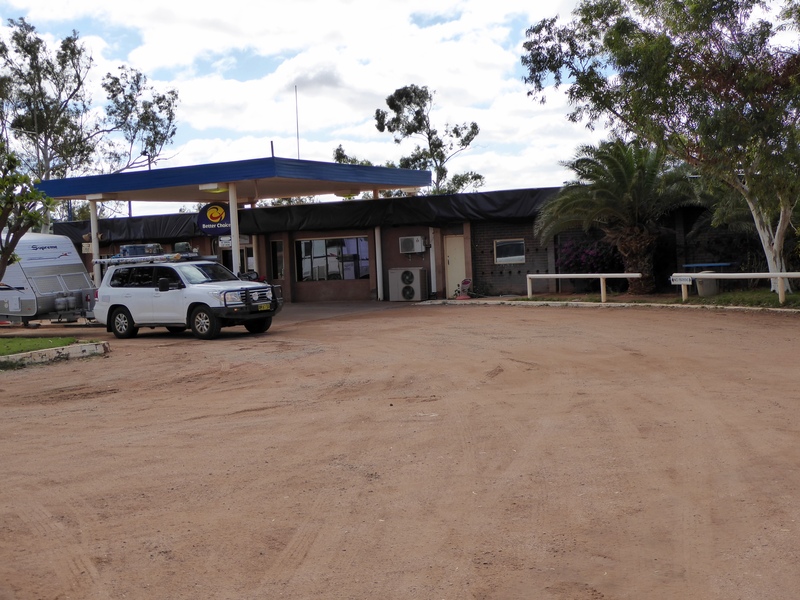 Soon we stopped here at the Minilya River Roadhouse. Those humans think they need a Magnum Ice Cream bar every day. 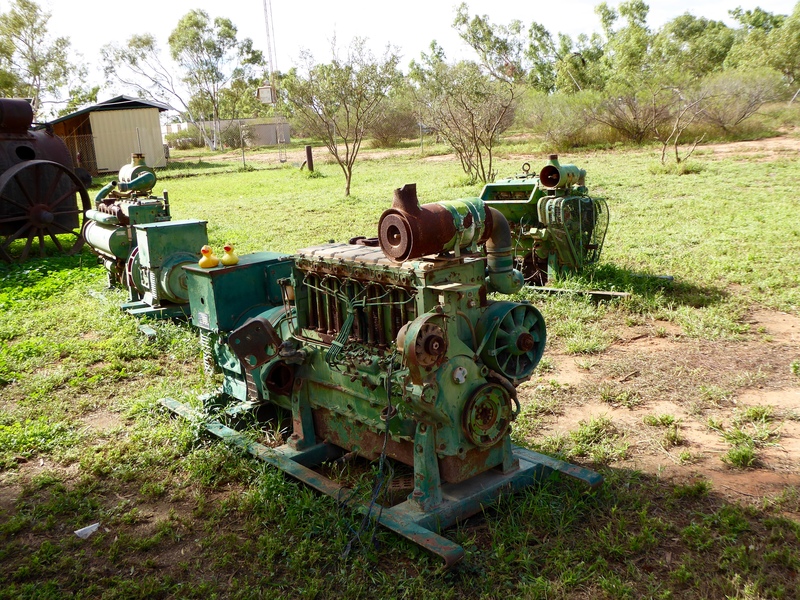 While they are eating (again) we admire the display of old farm equipment. Continuing north, we begin seeing strange things in the fields. 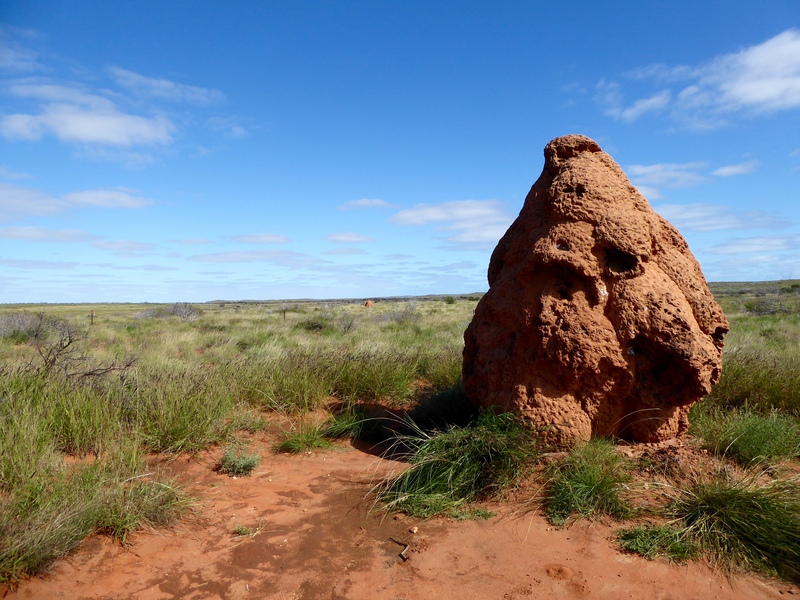 First we think they are large rocks, but soon realize they are termite hills. Termites are a type of ant. There are many types of termites and they build many different shape and size homes, or termite hills. This one is pretty large and very lumpy. 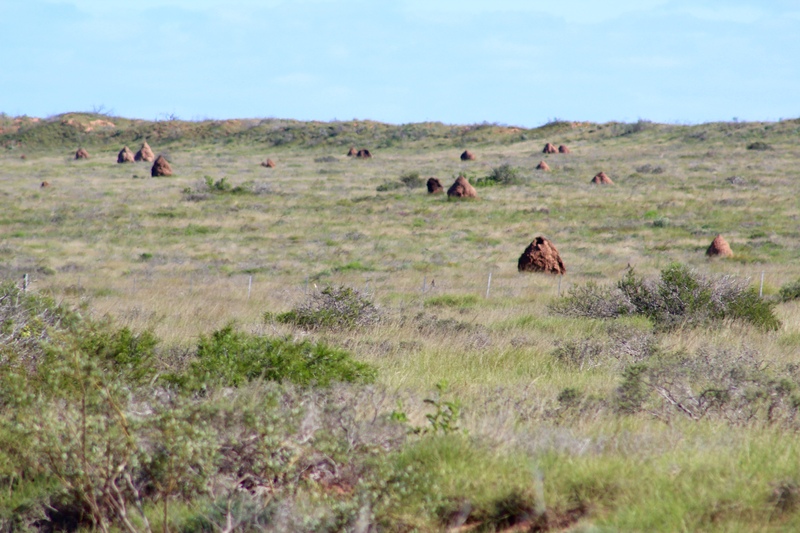 We showed you a few smaller termite hills on Kangaroo Island in our August posts. We have arrived at the Ningaloo Coast. This is another World Heritage Site. First we will visit Coral Bay. Another beautiful view of the Indian Ocean. 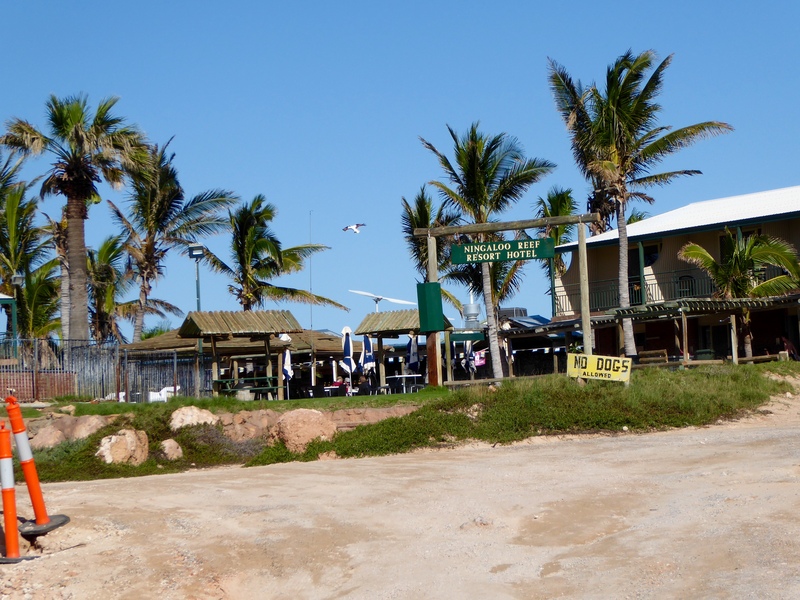 Coral Bay is just north of the Tropic of Capricorn. 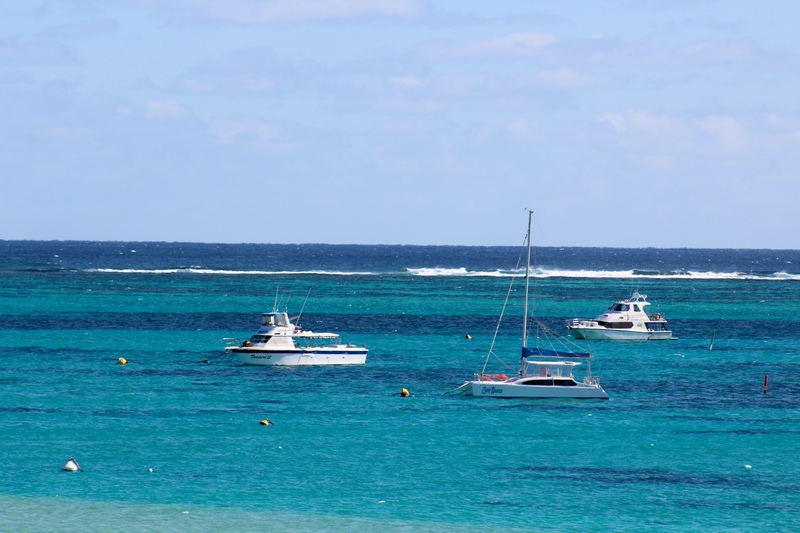 The Ningaloo Reef forms a natural lagoon. 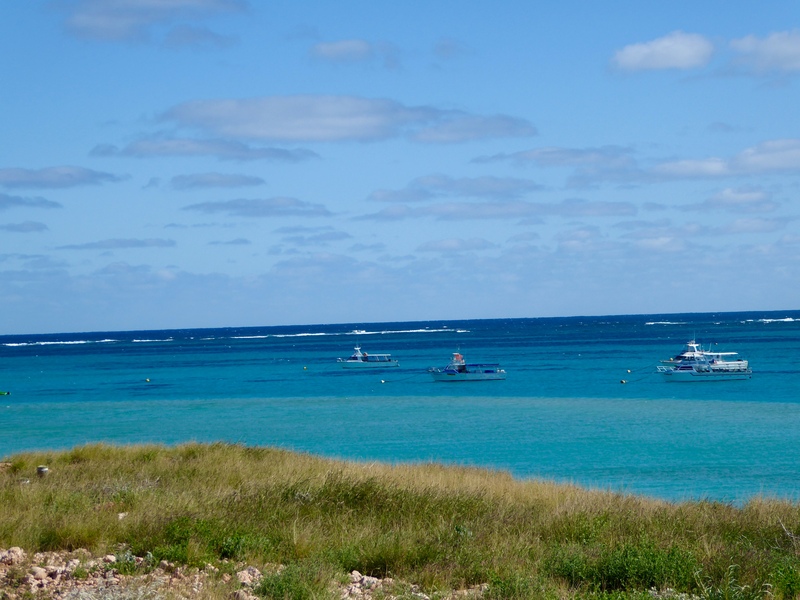 The Ningaloo Reef runs for 80 km off shore, starting about 300 meters from the beach. 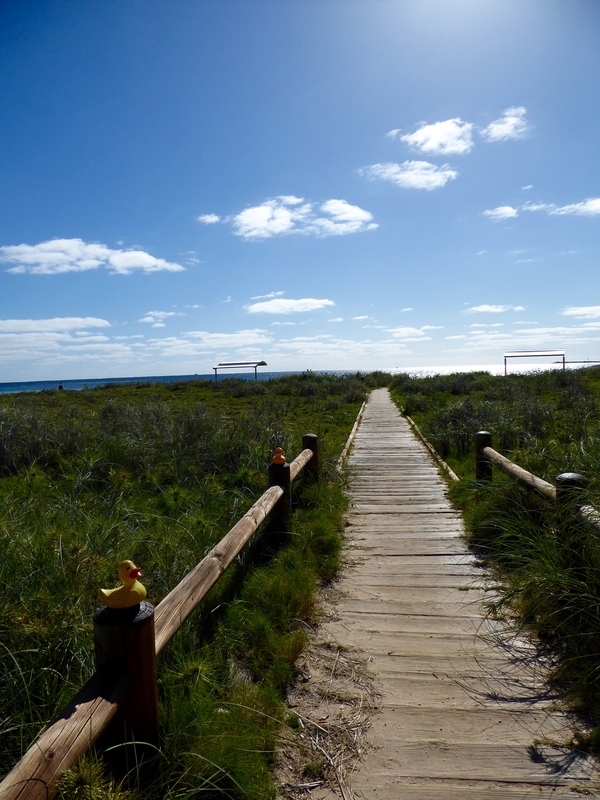 This is the boardwalk to the public beach. 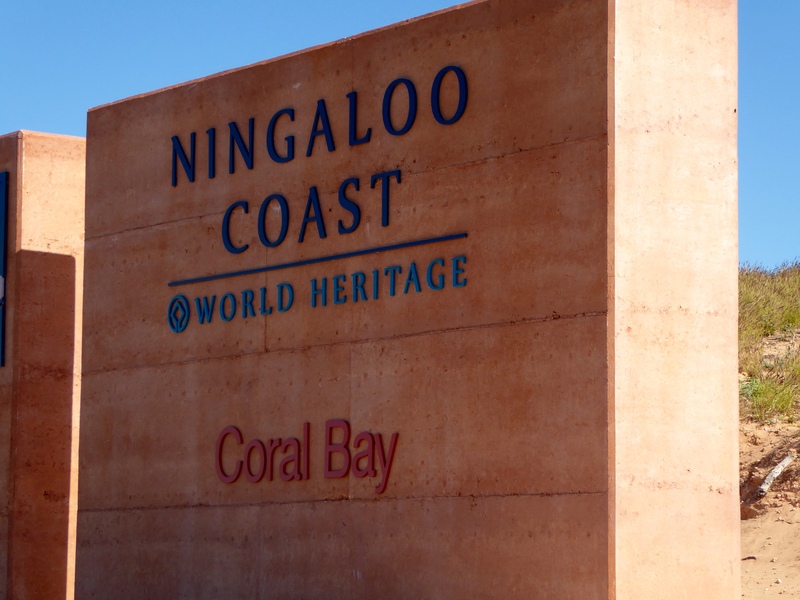 Much of Coral Bay and the Ningaloo Coast forms the Ningaloo Marine Park and much of that is an animal sanctuary. Turtle hatching takes place in February. Whale sharks can often be seen from March to June. Human activity on the water is limited, but on this beach we can enjoy the beach and swimming. Isn’t this a pretty beach? We think it is. We ducks think this boat is here just for us. But, the humans would not let us take it out on the water. They said it was not ours and not for rent to tourists. 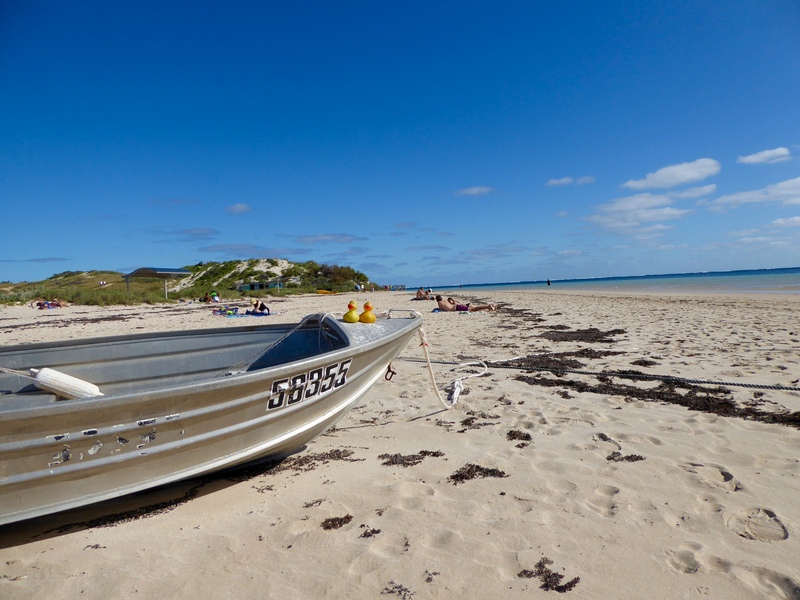 Notice that like so many other places on Australia’s west coast, the beaches are not at all crowded. This is so nice. This is the Ningaloo Reef Resort Hotel and is the perfect place to stay while enjoying the Ningaloo Reef. We could stay here for a long time if the humans would let us. 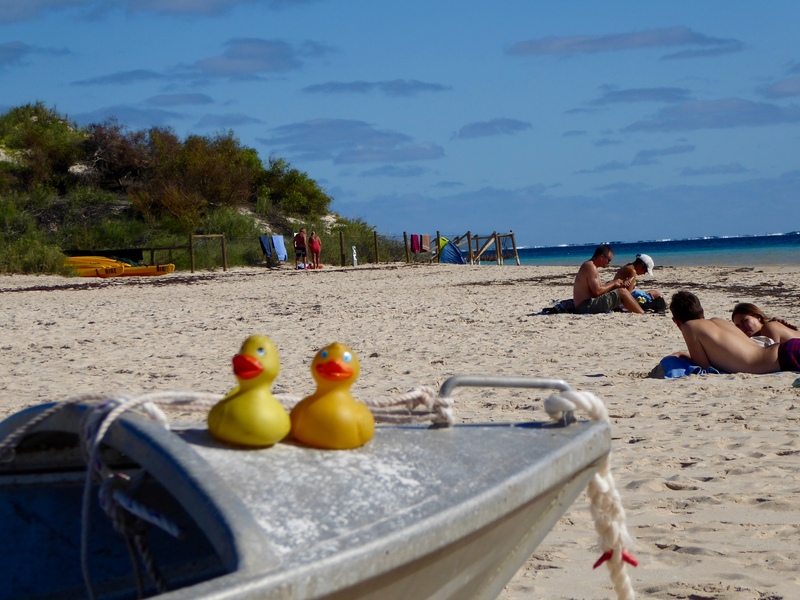 This entry was posted in Australia, Uncategorized, Western Australia and tagged Colorado Traveling Ducks, Coral Bay, Minilya Roadhouse, Ningaloo Coast, Ningaloo Reef, Ningaloo Reef Resort Hotel, termite hills, turtle hatching, Western Australia, whale sharks, World Heritage Site. Bookmark the permalink.